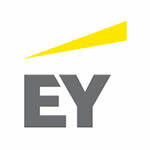 EY announces LSI President Chris Gabrelcik is an EY Entrepreneur Of The Year ®2015 Award finalist in Ohio Valley - Lubrication Specialties, Inc.
EY announced that Chris Gabrelcik, President of Lubrication Specialties, Inc., is a finalist for the EY Entrepreneur Of The Year®2015 Awards in the Ohio Valley Region. The awards program recognizes entrepreneurs who demonstrate excellence and extraordinary success in such areas as innovation, financial performance and personal commitment to their businesses and communities. Gabrelcik was selected as a finalist by a panel of independent judges. Award winners will be announced at a special gala event on June 4, 2015 at the Hyatt Regency in Cincinnati.